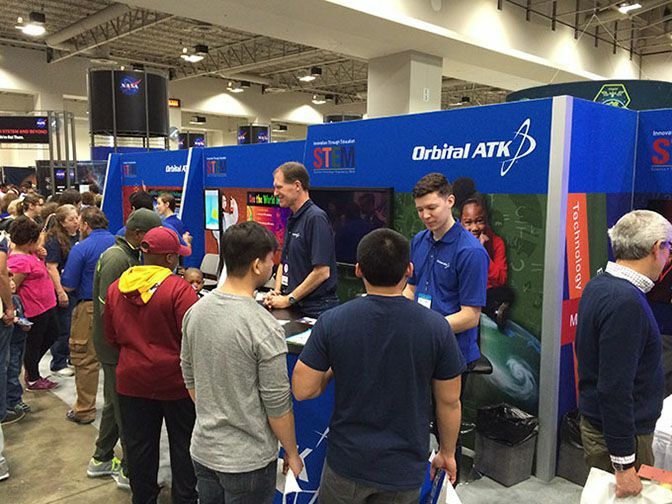 Recently, Orbital ATK participated in the fourth annual USA Science & Engineering Festival in Washington, D.C. 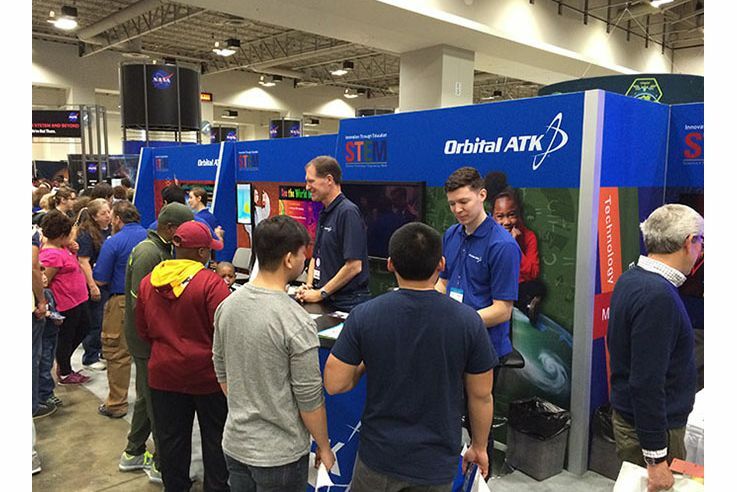 Visitors to the Orbital ATK booth had the opportunity to interact with Orbital ATK scientists and engineers at various hands-on exhibits that demonstrated the company's activities in Science, Technology, Engineering and Mathematics (STEM) fields. 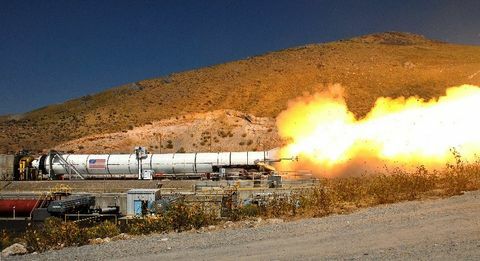 "Fostering student interest and achievement in the areas of science, technology, engineering and mathematics is a part of Orbital ATK’s core values,” said Antonio Elias, Orbital ATK’s Chief Technical Officer. 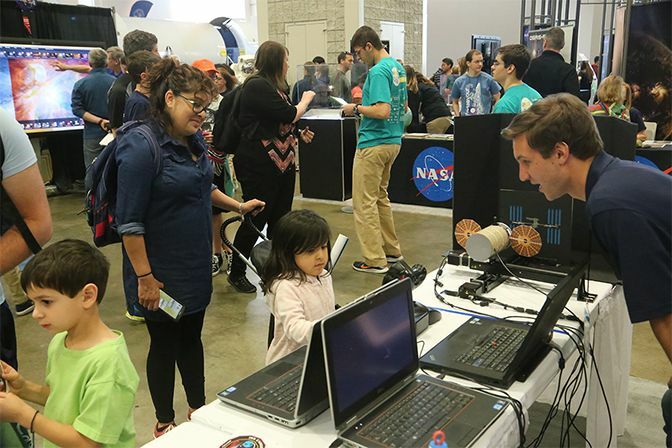 "This Festival is a great opportunity for students, educators and members of the community to interact with our scientists and engineers and learn about what we do at Orbital ATK and the many real-world applications of STEM." 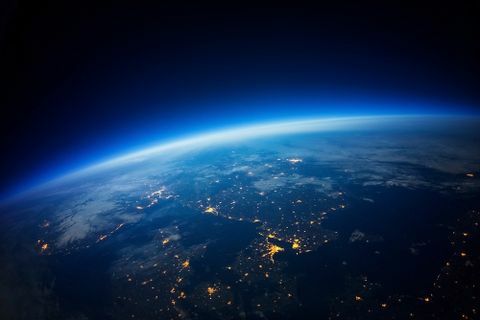 The event is the nation's largest science festival, with more than 3,000 hands-on activities and exhibits, with more than 350,000 attendees this year. There was a great turnout at the Orbital ATK booth with steady traffic throughout the event. 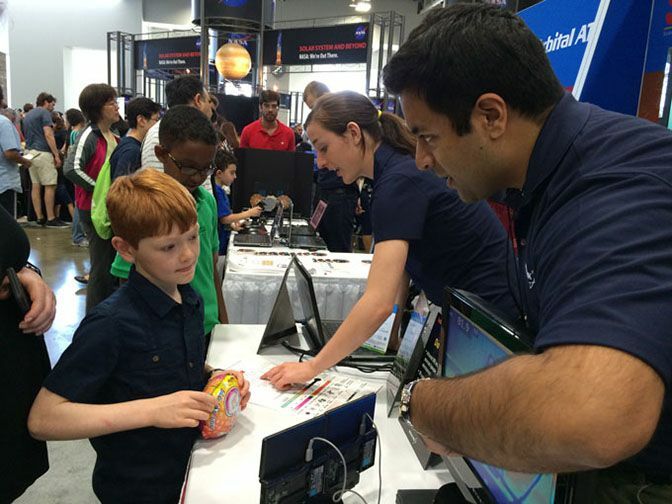 Visitors of all ages stopped by the Orbital ATK booth to learn more about Orbital ATK's technology, including the infrared (IR) sensing demonstration, shown here. Students lined up to launch rockets with different sized payloads under variable forces. 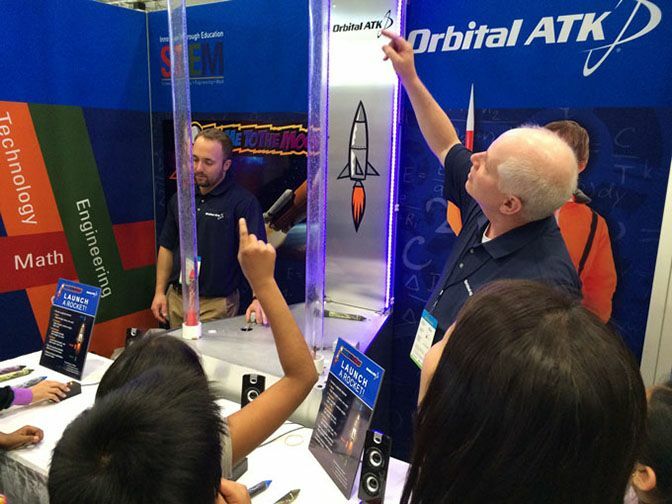 Parents and their children enjoyed all of the technology demonstrations that Orbital ATK offered during the festival. 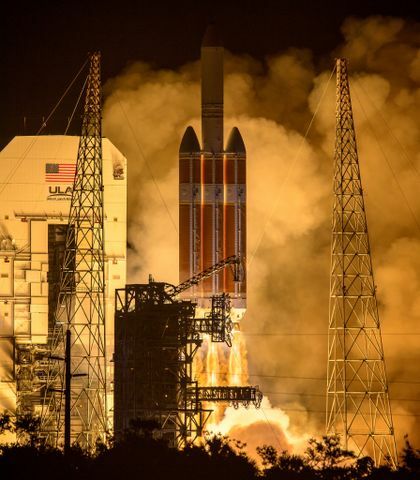 Here, a young participant learns about how the Cygnus spacecraft docks to the International Space Station.